Stilwater Dogos now located in Homestead, Florida. Breeding quality Dogos with an eye on the past and hopes for the future. 2004 Junior World Champion "Stilwater's Drift Away"
He has his own page as there is just to much to tell about him in a small paragraph. "Leguero"
"Int. Mexican Champion Cholo De Las Aguas Mansas T.T." Champion of Mexico, Ch. Cholo De Las Mansas, son of Nanday! He is the first son of Nanday to finish Mexican Championship and take a Group 1 at the International FCM show. He passed the FCI temperament test (T.T.). He also has earned his W/B I (Catch Dog)on boar at his first trial. Excellent in temperament, brains, looks, type he has it all! Email here for more information. We want to congratulate our last Mexican Champion . "Dolly" aka TMK's Jura de Las Aguas Mansas is our Latest Champion of Mexico and International Champion. She also has 4 of 5 CaCs need for the SICALAM title! Rated excellent by the Judge Nallem (World Show Judge - Picture coming later .....She is the grandaughter of Nanday De Los Medanos and Maiten de Los Medanos, great grandaughter of Thunder Mtn's Gator we are very proud of her! 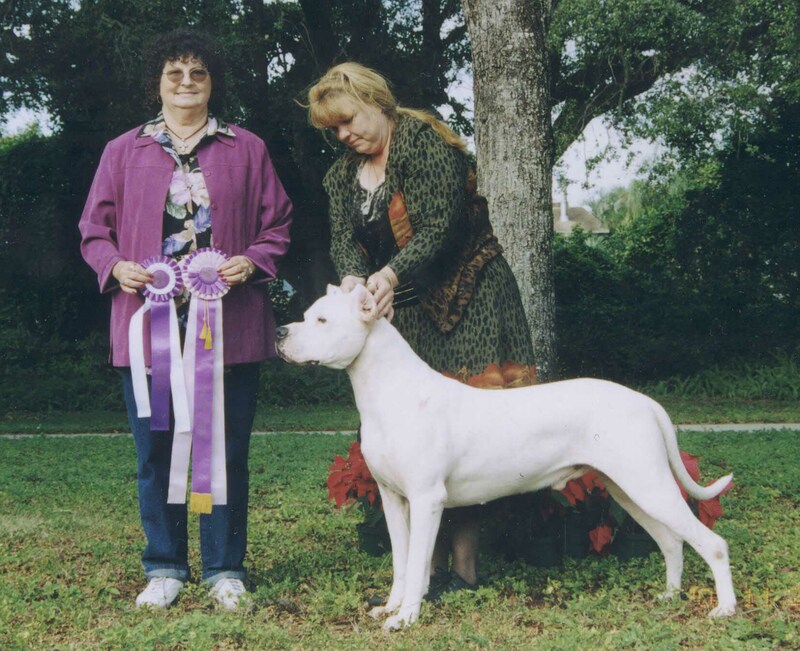 Stilwater Dogos' are dedicated to preservation of type in the Dogo Argentino. All stock from Champion bloodlines imported from Argentina. In addition we have one Colombian import Champion. 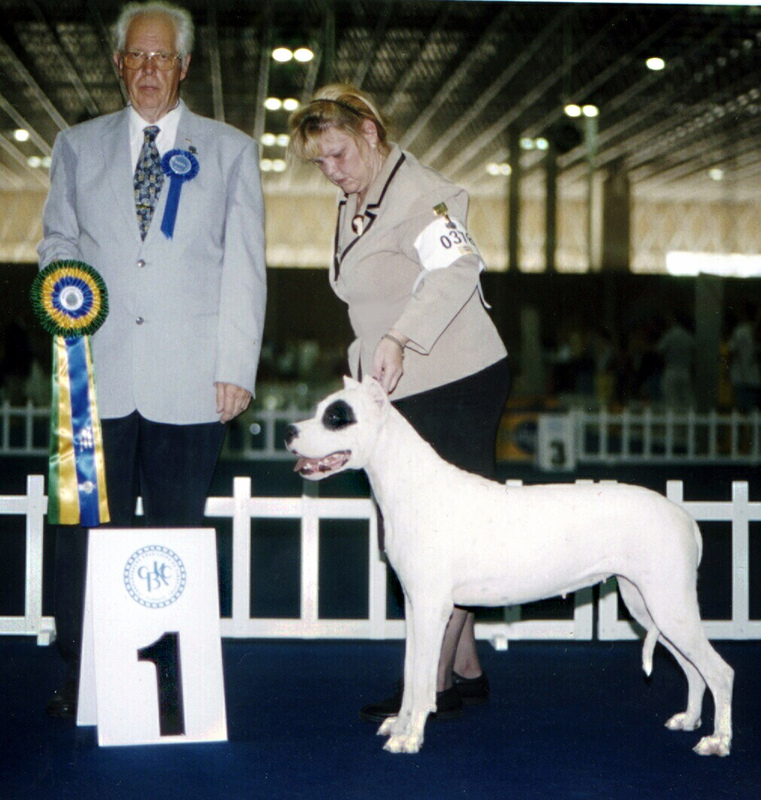 Our breeding program is based on years of study of Dogo genetics, lineage and breed history to produce consistency with true type. We breed for correct temperament, intelligence and aptitude for learning. All together to produce a superior Dogo. We don't want to change or improve this wonderful breed, only to preserve. All of our Dogos are tested genetically for deafness with the Brainstem Auditory Evoked Response test (BAER) and x-rayed for hip problems in order to produce Dogos who are sound in both mind and body. We are the first to have 15 generations of back pedigrees computerized on our Dogos. Our goal is to try to recreate Dogos from the past to insure the future of this breed remains true to original "type". Home: 305 247 8645 now currently working, best time to call is 5:00pm est and there is a FAX available. 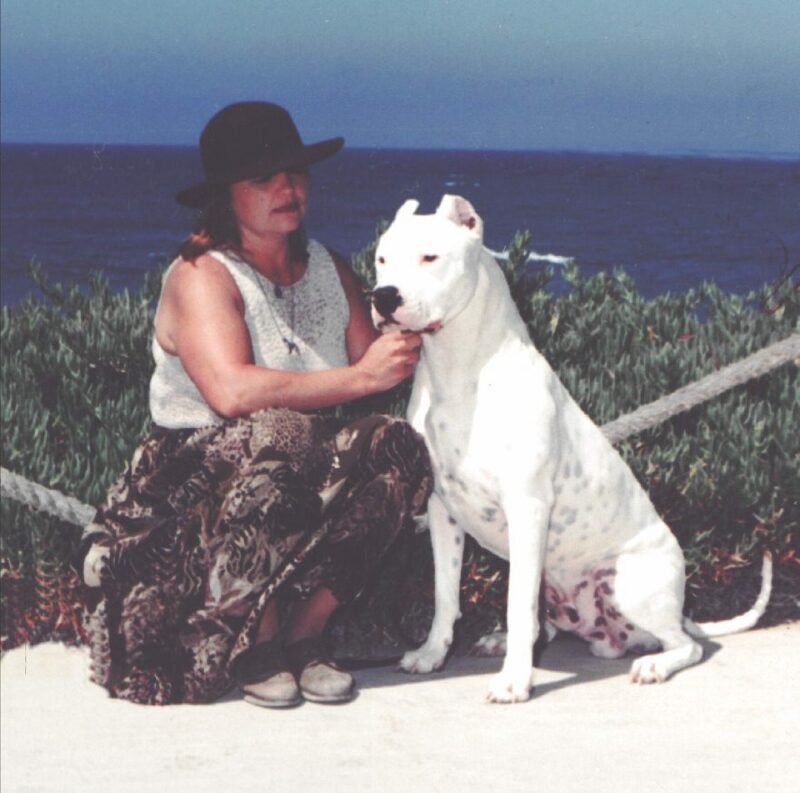 email is "mdsmithbbr@msn.com"
"Leguero" Puppies Available Photo Gallery Pedigee Pix Dogos from Argentina Breed History Original Standard Books Links to cool places! "Thanks to all for their help and advice."